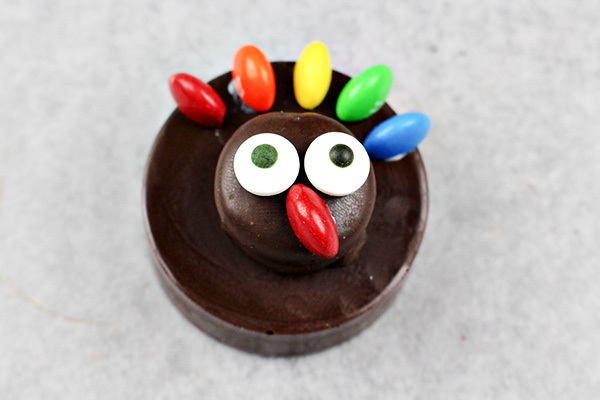 Thanksgiving Turkey OREO Cookies - Fun & Easy Food Craft! 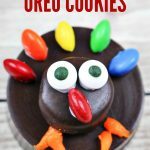 You are here: Home / Celebrations & Holidays / Thanksgiving / Thanksgiving Turkey OREO Cookies – Fun & Easy Food Craft! Looking for a fun Thanksgiving treat? 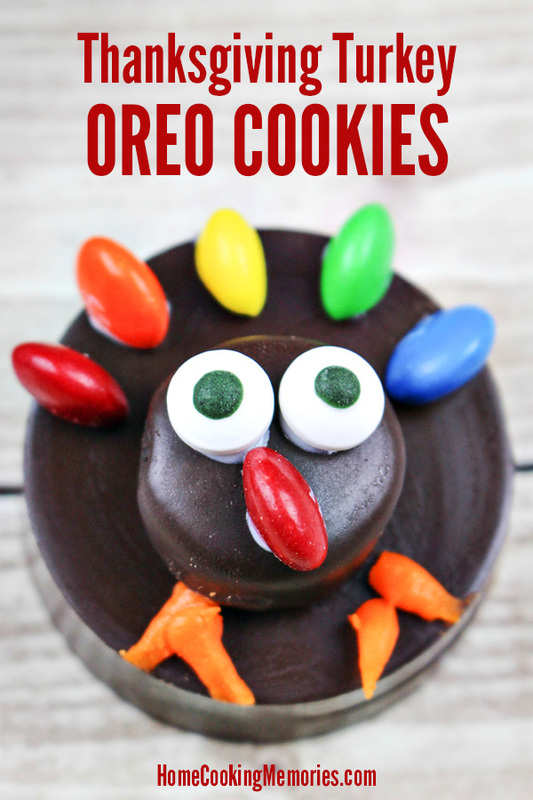 This is the best idea: Thanksgiving Turkey OREO Cookies! You’ve got your turkey, mashed potatoes, stuffing, and cranberries covered for Thanksgiving, but do you have your OREOS?? 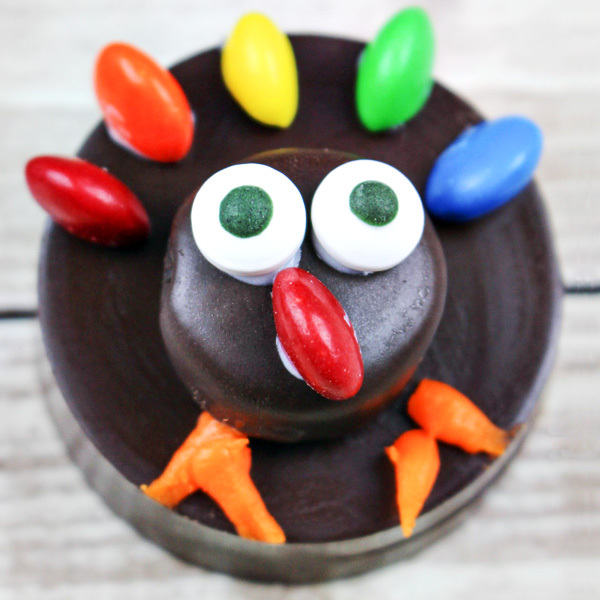 Our Easy Thanksgiving Turkey OREO Cookies are a super fun Thanksgiving treat that will bring a smile to everyone’s face! They are very easy to make and a perfect Thanksgiving activity to do with the kids. They would be great for bake sales, classroom parties, potlucks, dessert, or even as part of your table setting. 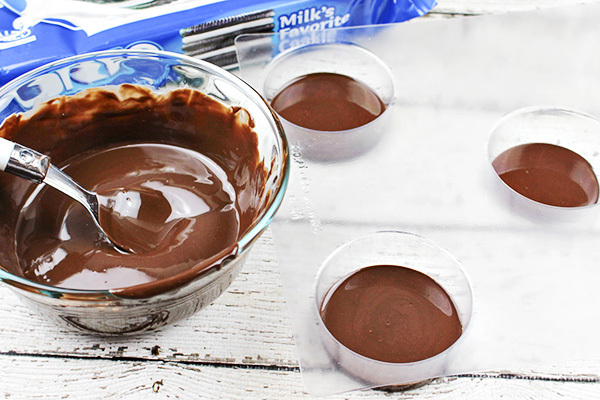 To get started, you’ll melt the Wilton Dark Cocoa Candy Melts in a microwave. Add about 2 tablespoons of the melted candy melts into the bottom of each cookie mold. NOTE: The cookie/candy mold pictured is the PERFECT size for making dipped or chocolate covered OREO’s. If you want to speed up your process, you may want to buy more than 1 of them since it only makes 5 at a time. Next, lay a regular sized OREO cookie on top of the melted candy melts. You don’t need to press it in, just lay it centered in the mold on top of the melted mixture. Top the OREO cookies with more of the melted candy melts until they are completely covered. Be sure to top each one with about the same amount of mixture (so that they are uniform size) and don’t exceed the top of the candy mold or you’ll end up with a mess. Place in the refrigerator for about an hour (or until firm). 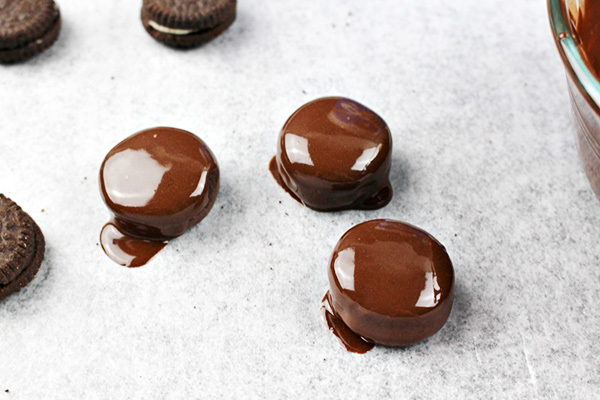 With the remaining melted chocolate, dip the mini OREO cookies so that they are coated in chocolate. Place them plate or baking sheet that has been lined with wax or parchment paper. Place them into the refrigerator for about 30 minutes or until firm. 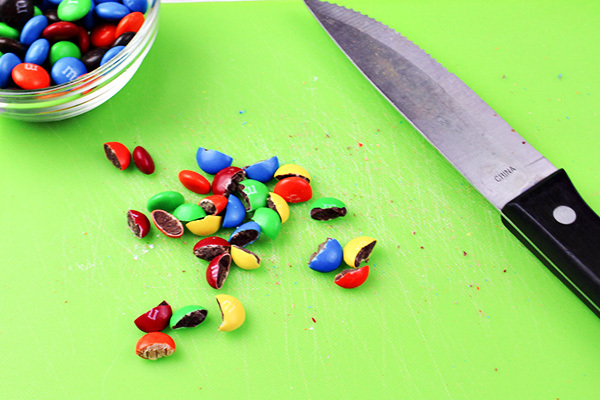 While your OREO’s are chilling, cut your M&M’s in half. Eat the ones that don’t cut perfectly. It’s a rule. 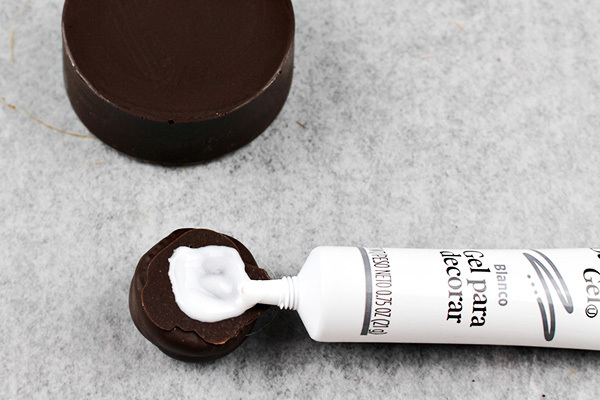 Using the white icing as a edible “glue”, apply some to the back of the chocolate-dipped Mini OREO Cookies and place it directly on top of each regular-sized, chocolate-dipped OREO cookie, centering the mini cookies in the middle for the turkey face. Dab a small amount of white icing to the back of the candy eyes and place 2 eyes on each mini Oreo. 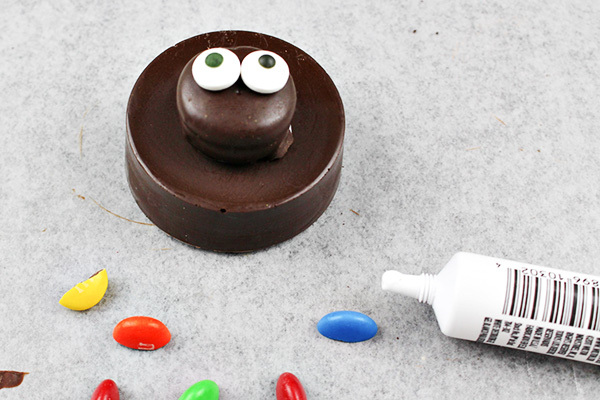 Dab a small amount of white icing to the back of 12 red M&M candy halves and place under the eyes (at an angle) for the turkey wattle. 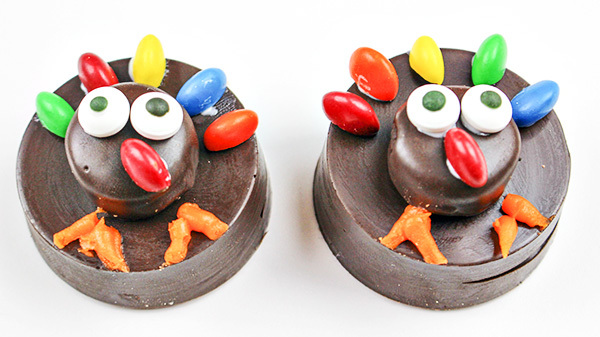 For the turkey feathers, each turkey will need half of a red, orange, yellow, green and blue M&M candy piece. Dab a small amount of white icing on the back (cut side) of each piece and place on the large OREO Cookie, above the face, evenly spaced apart. Finally, with the orange decorator icing, pipe the turkey feet at the bottom of each cookie, by creating two lines that form the top part of a triangle. See how easy that was! Here’s the full list of supplies and instructions, ready for you to print. 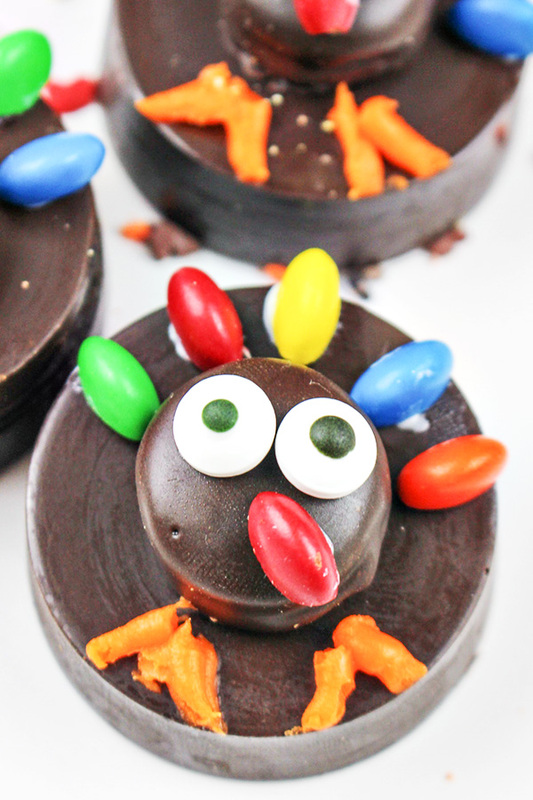 Not ready to make your OREO Thanksgiving Turkey Cookies yet? 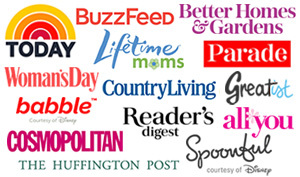 Be sure to save this to your Thanksgiving board on pinterest so you can find it easily later. In a medium microwave safe bowl, microwave the dark cocoa candy melts according to package instructions. Place 2 tablespoons of the melted chocolate into the bottom of each cookie mold. 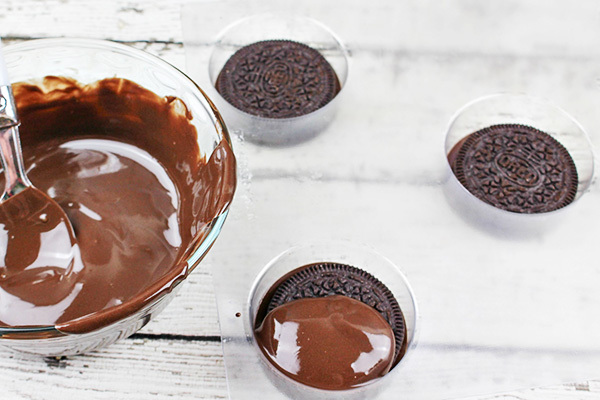 Place an OREO cookie on top of the melted chocolate. Spoon additional melted chocolate on top of the OREO cookie, up to the top of the mold. Repeat steps until all of the cookie molds are full. Chill for about a hour or until the chocolate is firm. 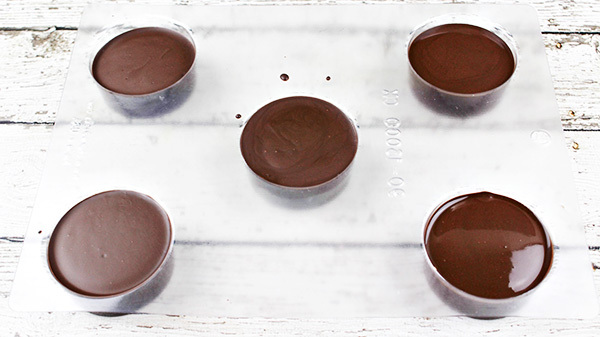 Dip the 12 mini OREO cookies into the remaining melted chocolate and place on the baking sheet. Chill for about 30 minutes or until the chocolate is firm. Once chilled, remove the cookie molds and baking sheet from the refrigerator. 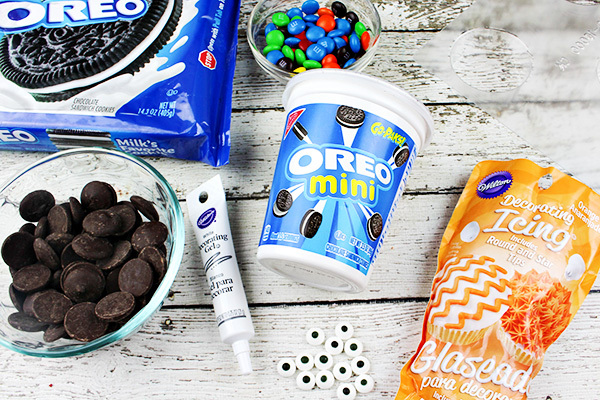 Gently pop the OREO cookies out of their molds and place on the baking sheet next to the mini OREO cookies. Apply white icing to the back of one of the mini OREO cookies and place directly on top of the regular size OREO cookie, centering the mini cookie in the middle for the turkey face. Dab a small amount of white icing to the back of the candy eyes and place 2 eyes on the mini OREO . Dab a small amount of white icing to the cut side of 12 red M&M candy halves and place under the eyes (at an angle) for the turkey wattle. For the turkey feathers, each turkey will need half of a red, orange, yellow, green and blue M&M candy piece. Dab a small amount of white icing on the cut side of each piece and place on the large OREO, above the face, evenly spaced apart. With orange decorator icing, pipe the turkey feet at the bottom of each cookie by creating two lines that form the top part of a triangle. Repeat process with remaining supplies to assemble your OREO Thanksgiving Turkey Cookies. These little turkeys are so cute! What a fun idea. Found it at the #HomeMattersParty!